Click here to see an excellent review that's completely illustrated on installing our product. 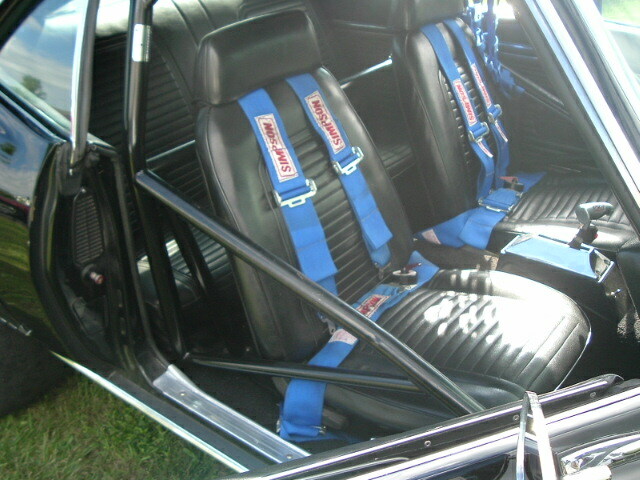 Paul, it is about time someone adapted the hydraulic assist units in an easy to install kit for 1st Gen Camaros. I am now enjoying the true ability of my Baer system thanks to your product...Outstanding quality, ease of installation, and the industries best customer service will keep me coming back again and again. The kit came with everything I needed for the install and went together just as the instructions stated. With my cammy 421 tri-power engine, vacuum was low and inconsistent. Even with the addition of an accumulator tank I still had times that the brakes were not up to par. 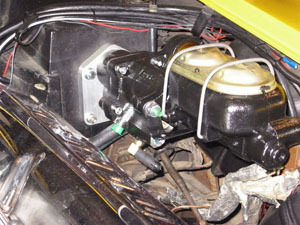 After the Hydratech Braking hydraulic assist unit was installed my car "stops like stink". When you build a car to go fast it has to also stop fast. Now it does both equally well. upgrading to bigger calipers/rotors and swapping the rear drums to disc, but that costs some serious cash if you by from one of the performance brake outfits! I heard about the Hydratech Braking hydraulic assist units, so I decided to check it out. After talking with them I decided that I would give it a try since they said that they would give me my money back if I wasn't satisfied. I bolted the system on the other day and tried it out. What a difference!!! I thought that at 15" of vacuum at idle that I was making plenty of vacuum for my brakes, but my brakes were terrible in comparison to what they are now! I could lock up my brakes before, but I had to put my foot in it. With the new system I have much more braking power with much less "foot power"!! Stop on a dime and get two nickels change? Hardly. Check again. If you�ve been working on your Corvette brakes looking for better performance, you�ll likely find two nickels and at least a penny since, even in these tough times, you should expect a better return on your investment than parity. And that�s what Hydratech delivers. 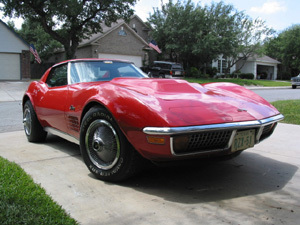 My 1972 Corvette left the factory with manual brakes. I bought the car in extraordinarily rough shape in 1987 and, as funds would allow, began to bring everything back to new. The first thing I couldn�t help but notice when I test drove the car was that the brakes sucked and even though the car was ugly beyond comparison, it was drivable�barely! Within two weeks of getting the car home I ordered stainless sleeved calipers and a new master cylinder. After bringing the brakes up to mechanical standards, it was hard to say that there was much improvement. The pedal effort to stop the car at was profoundly high. From a technical standpoint, you could only say the brakes worked but I could tell that high-effort stops were going to give me asymmetrical musculature in my right leg from having to stand on the pedal so hard. I�ve driven manual-braked (both all drum and disc/drum) cars before and this just can�t be what Chevrolet intended. So I kept looking for a problem and throwing money at the brakes believing that something had to be wrong. 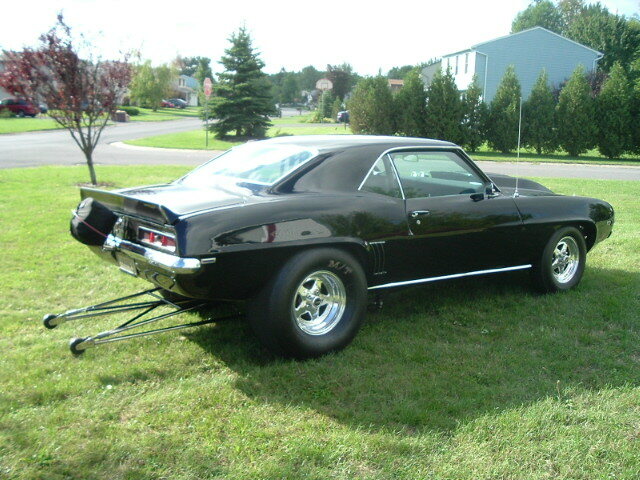 Over the years, I replaced master cylinders -thinking that it had to be a machining fault in the cylinder which was wishful thinking more than logic- replaced the rubber flex lines with braided stainless Teflon lined hose, stainless hard lines, rotors, and used every brake pad type made for Corvettes including Performance Friction carbon pads, and even replaced the calipers�again with O-ringed pistons. The only thing that changed was when I used the carbon pads is that the pedal effort to stop the car when the pads were cold was even higher. Another failed attempt so I put the stock soft pads back on. L By now, you can see that I�ve been throwing a lot of money at the brakes and seeing almost nothing for my efforts. It became clear to me that my brakes were working as advertised. Did they stop the car? Yes. But they didn�t contribute to the pleasure of driving the car. I had considered converting the car to vacuum-assisted power brakes but there is just more butchery involved with this retrofit than I really cared to be a part of. Everything I�ve done to the car that is a departure from the way the car left the factory has been done out of primary consideration that it can be flawlessly returned to stock. When I became aware of the hydraulic assist conversion I thought that this could be a real solution (hey, why not? I tried everything else) and ordered a level III kit. Installation wasn�t difficult. Took about six hours total including rest periods. I was impressed at the end of the installation that the directions are complete, everything needed for the conversion is in the kit, everything was very high quality and very well engineered. 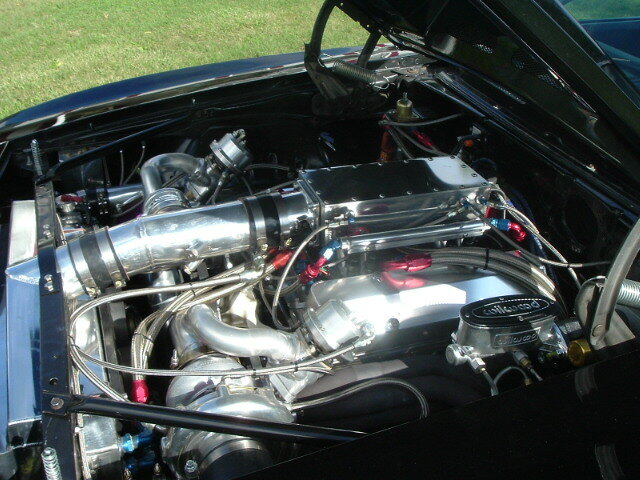 It�s the first major modification I�ve done where nothing was missing, everything fit where it was supposed to, I didn�t have to fabricate anything, and my sanity was protected. 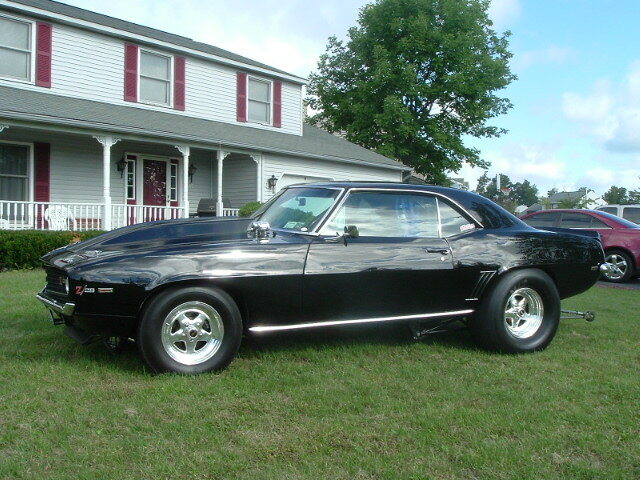 I replaced the factory deep piston well �509� 1.0� manual brake master cylinder with a deep piston well factory �346� 1.125� master cylinder for power brake cars to ensure that my pedal effort would be more consistent with a power brake car and not leave me with too sensitive of a pedal. I don�t know how much difference it would make in using the manual brake 1� bore cylinder with the hydraulic assist but I had the power cylinder and hydraulic theory says that the power cylinder would probably be a better path. So everything was done and it was time to do the test drive. Engine running, apply brakes, put car in gear (yes, it�s an automatic) and ease up on the pedal but the car didn�t move. I thought something was blocking a tire so I got out and checked. Nope, nothing there. Just having my foot resting on the pedal with very light pressure was holding the car. This was a huge difference that I wasn�t expecting so I finally got the car backed out with this very different technique of just barely applying pedal pressure. As I rolled down the street on my first test drive I approached this test with great caution. The first time I applied the brakes the car came to a very quick stop�way more I was expecting. I thought to myself that this is going to take some practice getting acquainted with how much power my brakes now have. I did a few more laps around the block to test the stopping power at different speeds, not because I had to, but because I just couldn�t believe the difference. The brake pedal effort is completely linear with the hydraulic assist. You want more stopping power? Apply a bit more pressure. There is exceptional feedback in the pedal which makes it easy to modulate your braking power. I could tell how much brake force was being applied and did a stop that transitioned from a normal quick stop, to lockup threshold, and then to fully locked up. When we do things to our cars -whether the consideration is time, money, or both- we expect that there should be a return on our investment. If you wax the car, it should look shiny. If you do a tune up, you expect the car to run better. 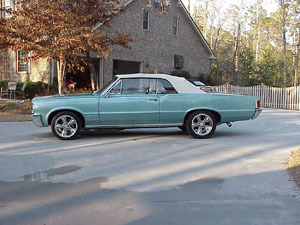 I�ve invested a lot of time and money on my brakes with disappointing results. The hydraulic assist is the difference. The car is safer and a lot more fun to drive. So it all comes down to a return on your investment. Did I get my money�s worth? Absolutely, and then some. Everything I�ve invested in my brakes is finally paying off so that�s why I began with getting more than two nickels change. I got that and more. Would you like to let people know how happy you are with our products and services? Send us an e-mail highlighting your experiences, be sure to include a few pictures, and we may include you in our Customer Gallery or here in our Customer Feedback sections!